In a major victory for all ethical and honest supplement manufacturers, USPLabs announced that a lawsuit against them was dismissed by a federal judge in Maryland. The plaintiff of the lawsuit, disgruntled track and field athlete Phillipe H. DeRosier Jr, attempted to sue USPLabs because Jack3d contains a substance that is banned by the US Anti-Doping Agency (USADA). DeRosier apparently took the product without consulting his drug-testing sponsors nor reading the label on the product. Although not specified in the press release below, the ingredient in question is without doubt 1,3 dimethylamylamine HCl (also named DMAA, Geranamine, and Methylhexaneamine), which is a known performance-enhancing stimulant. 1,3 is one of the reasons why this is such an amazing pre-workout supplement. To put it simply, DMAA is banned for a reason – IT WORKS THAT WELL. Clearly, Mr. DeRosier failed to do a quick bit of Google searching on the matter. Had he done it, he easily would have found our Is Jack3d Legal? document, where we discuss the legality of this supplement (YES it is legal in the US!) and discuss that it does contain stimulants that ARE banned by WADA and the NCAA and that you should always check with your drug testers before touching anything new. As much as we think this is common sense, it apparently is not. No, we are not USPLabs, but we’ve felt it was important to have that page up there for well over a year because so many people are interested in it. As an ELITE athlete, one must beware of EVERYTHING they put into their body – whether it’s food, supplements, or ill-advised recreational drugs. USPLabs is an honest company. Everything that is in the product is on the label. The lawsuit proved this. You don’t sue a car company because the car lets you break the speed limit and you got a ticket, do you? How is this any different? The fact that you can’t take four minutes out of your day to cross-reference your banned supplements list with the SIX ingredients on the can of Jack3d is nobody’s fault but YOUR OWN. This isn’t a product like Nitro-Tech that has 645 ingredients in it. There are SIX ingredients in Jack3d! How hard is it to check those against your list?! It is not USPLabs’ job, nor is it ours, to babysit every single athlete (but hey – we did put the information up there anyway). The fact that somebody clearly made a massive judgment mistake and tried to pass it off onto an honest company is an absolute shame, and shows what serious problems we have in this society when it comes to taking responsibility for ourselves and our actions. This isn’t the first time someone’s been suspended due to DMAA. In an argument we had with an Olympic swimming coach who also had a promising young swimmer banned by taking a competing pre-workout supplement that also contained 1,3, he claimed that a warning should have been on the label. Is this guy serious? So you’re saying that USP needs to make a scary warning on the label because .00001% of the population shouldn’t be taking the product? What world are you living in? USPLabs sells to everyone from the average consumer to the intense athlete – but this is not an Olympian Babysitting company. This is a supplement company that is trying to make a profit – not scare Joe Gymrat Sixpack with a warning because 100 Olympic athletes shouldn’t be taking this. USPLabs found a HUGE flaw in the pre-workout market and made the best product that’s ever been released. 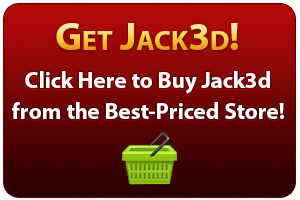 Nothing more, nothing less – just like the philosophy of the Jack3d product itself. Why should they pay the price for your mistakes? When you are at an elite level, you need to take responsibility for your own damned self. You are at another level – and when you’re at that next level, the same rules obviously don’t apply to you. This lawsuit was nothing but a pass-the-buck, responsibility-shirking joke. Read the label, be a man, admit fault, and move on. Don’t bring a good company into your stupid mess. DALLAS – November 18, 2011 – In an unequivocal victory for the popular nutritional supplement maker USPlabs, a federal judge in Maryland today summarily dismissed a $1.8 million lawsuit filed by a disgruntled track and field athlete seeking to blame the company for his testing positive for a substance banned in competition. The issue resulted after DeRosier was banned for testing positive for a mild stimulant known as DMAA, which is used in Jack3d. With limited exception, USADA bans stimulants for use in competition. The court’s ruling dismissed DeRosier’s claims that the company bore legal responsibility for his sanction. Let this victory be a message to others. Read the label, and don’t sue someone for your stupid mistake. It is very clear that being a professional athlete should not imply that the athletes IQ is in the high numbers. There are a lot of dumb Jocks out there that possibly excelled in athletics while failing the public school system. Sad as this may be society on a whole should not be held back and put on trial each time such failed individuals attempt ro make others responsible for their personal choices. This cast a very bad light on other hard working intelligent and discerning athletes at large who shake their heads and wonder how some of these guys not only survived puberty but made it to pro. Jacked is awesome. Please bring it back.